The Old San Carlos area in Fort Myers Beach is an older waterfront neighborhood that was once the downtown heart of the island. Spikowski Planning Associates and Dover-Kohl jointly created the Town’s first Comprehensive Plan in 1999, placing emphasis on the area’s unique beach-to-bay connection as a place of character and high visibility. 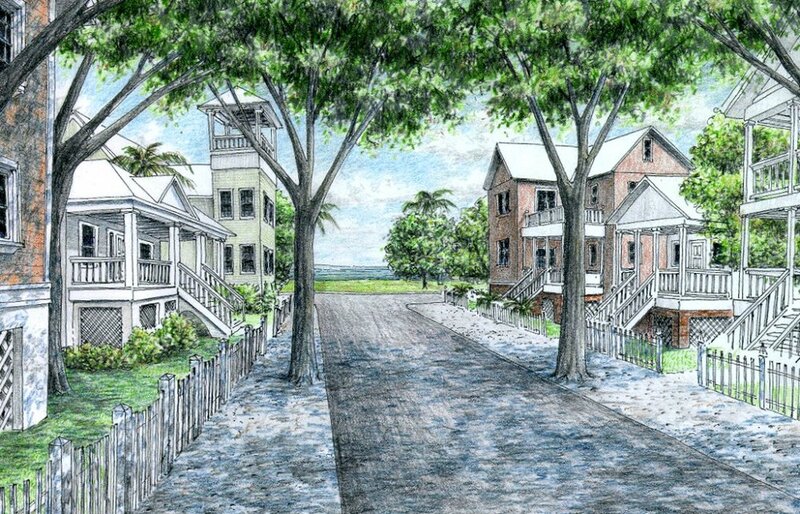 Detailed concepts for the Red Coconut, Villa Santini, and Civic Center areas were proposed as part of the plan, with a Special Area Plan subsequently designed for the Old San Carlos Boulevard/Crescent Street area of the town core. A form-based code was created with the architectural assistance of Chael, Cooper and Associates, to ensure that the community’s vision was realized during the implementation phase.